Google Maps has had a satellite view available for many years on multiple platforms, but for some reason, it never made its way to the Android Auto app - that is, until now. 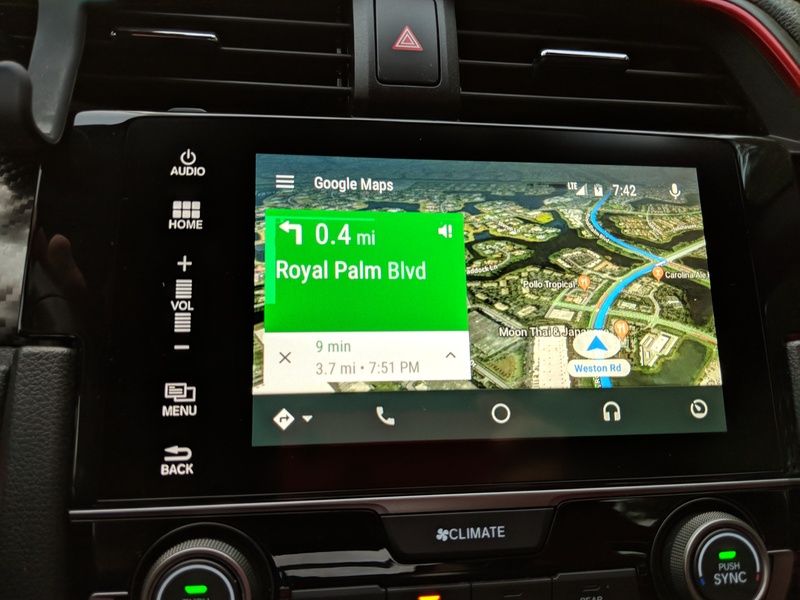 A reader sent in a tip showcasing satellite view while navigating with his Android Auto-equipped head unit, and it looks exactly as you'd expect. What Android Auto's satellite view looks like in the cockpit of a Civic Type R going 45mph. Interestingly enough, satellite view has been available in the phone version of Android Auto's Google Maps for some time; the in-car version is just now joining the party. Our own Cody spotted strings relating to satellite view in recent Maps builds, and those strings were likely linked to this. The option should be live for all; just head into your settings to check. It's worth noting, however, that the greater detail that satellite view brings will come at the expense of more data consumption. So if you're on a more restrictive phone plan, you may want to think twice before turning this on.